Goodwill stores tend to get a lot of strange donations, but there’s not much stranger than the work of surrealists like Salvador Dali. In Grand Junction, Colorado, the local Goodwill store has run into a bit of good look as an anonymous person donated what might be a rare Salvador Dali lithograph. The print, called “The Discovery of America by Christopher Columbus,” is numbered 168 out of 300 and may or may not be worth quite a bit of money. That said, buyer beware. Goodwill manager Bill Atwell isn’t planning on paying an expert to authenticate the piece, instead deciding to let the buyers set the value of the print. The current bidding is up to $550. 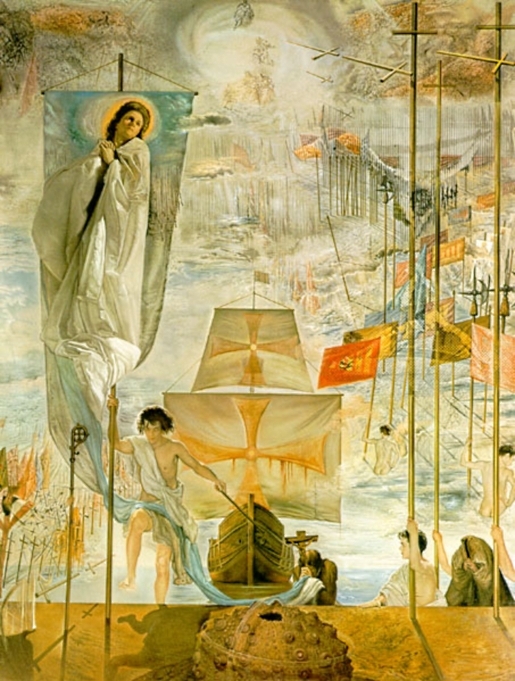 The original painting is in the Salvador Dali Museum in St. Petersburg, Florida. Lithographs, especially limited edition lithographs, can be worth thousands of dollars despite being reproductions of original works.